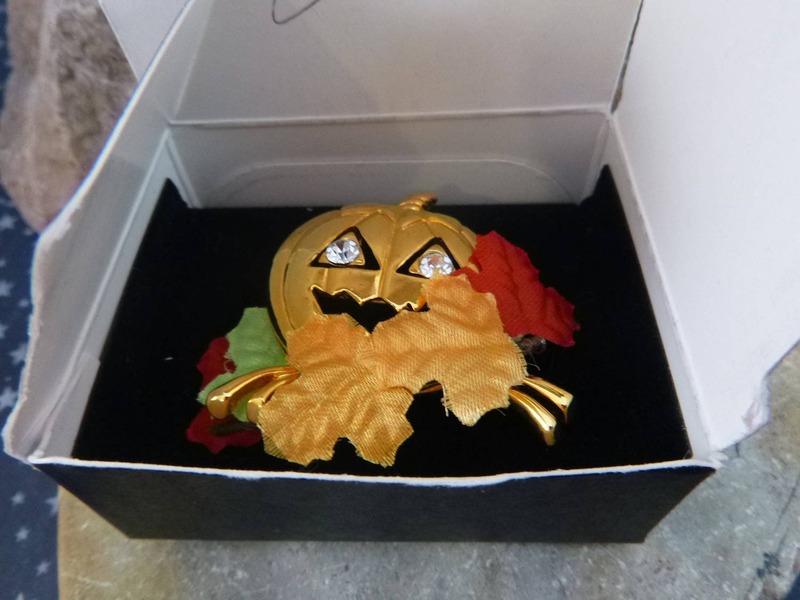 Still in its original l993 Avon box, with limited signs of wear, this fall Halloween pumpkin brooch is in very good vintage condition; the box is in very good condition as well, although it has the word "sold" written on the inner lid. 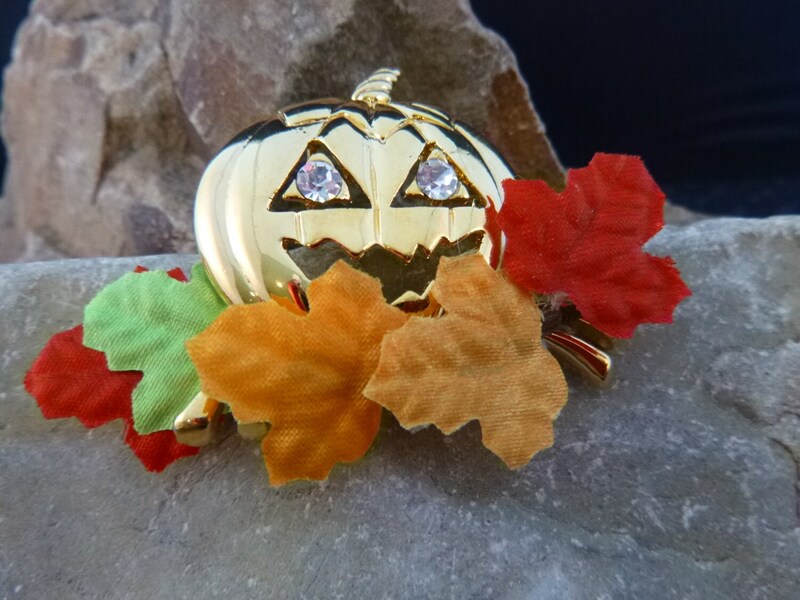 Set in gold tone metal, the bright eyed Jack O Lantern has big rhinestone eyes and is surround with burgundy, gold, and green removable fabric or other material leaves. 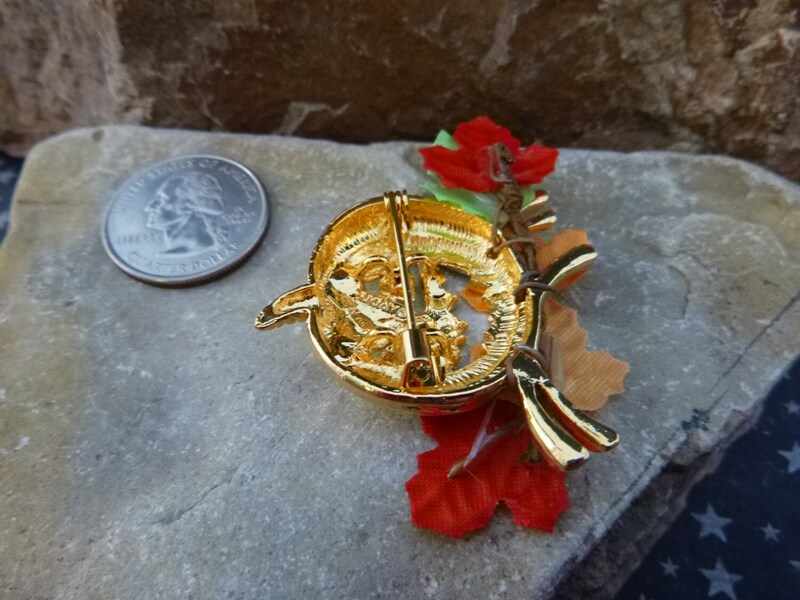 The pin measures 2.25” long and 1.75” tall. On the back is the “© Avon” marker’s mark. 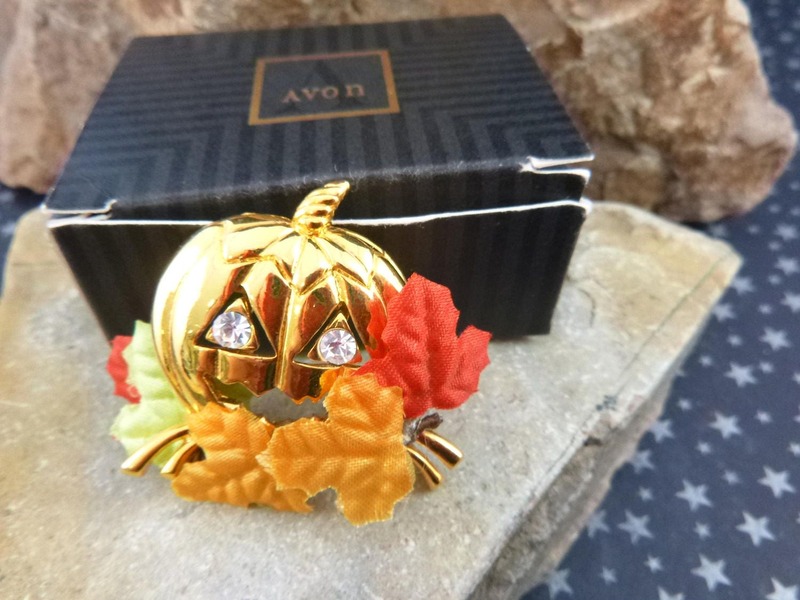 Starting in l971, Avon started a jewelry line with a limited number of pieces. By l974 they were adding 25 new pieces a year. 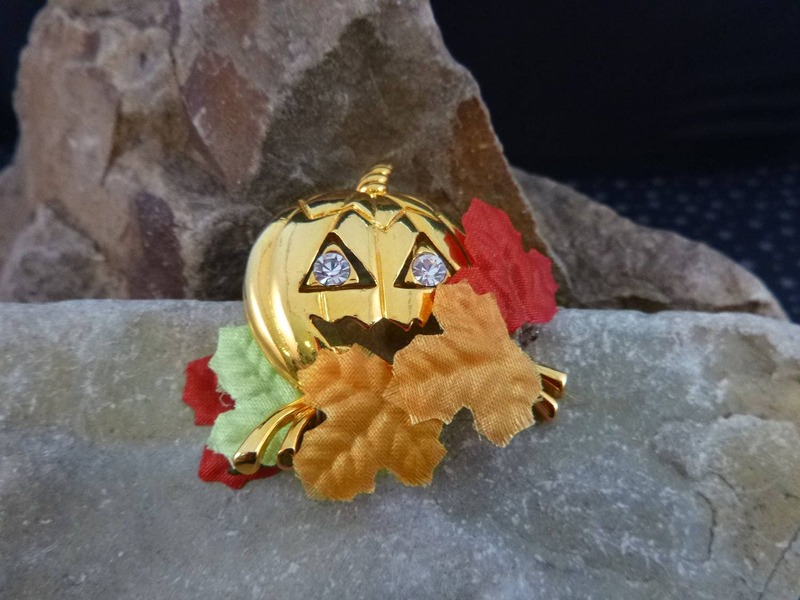 Perfect for Fall and Halloween, this mixed media brooch is delightful. The pictures offer greater perspective on the timeless nature of this vintage Halloween pumpkin.